Born and raised a Pathmark man, It’s not so often (usually payday) that I take a trip to Whole Foods. 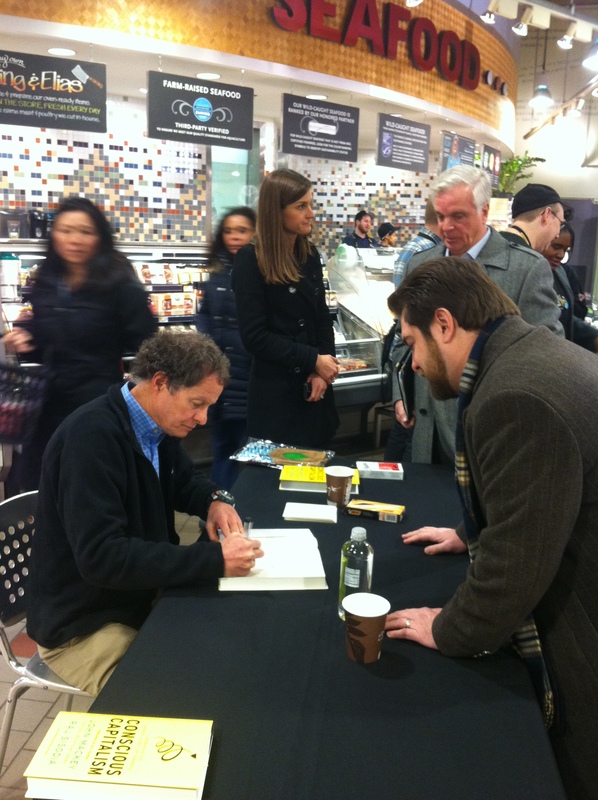 Today, one of those off days when I did make it to the aptly nicknamed “Whole Paycheck”, something else out of the ordinary happened…I ran into John Mackey, the founder of the Whole foods Chain. 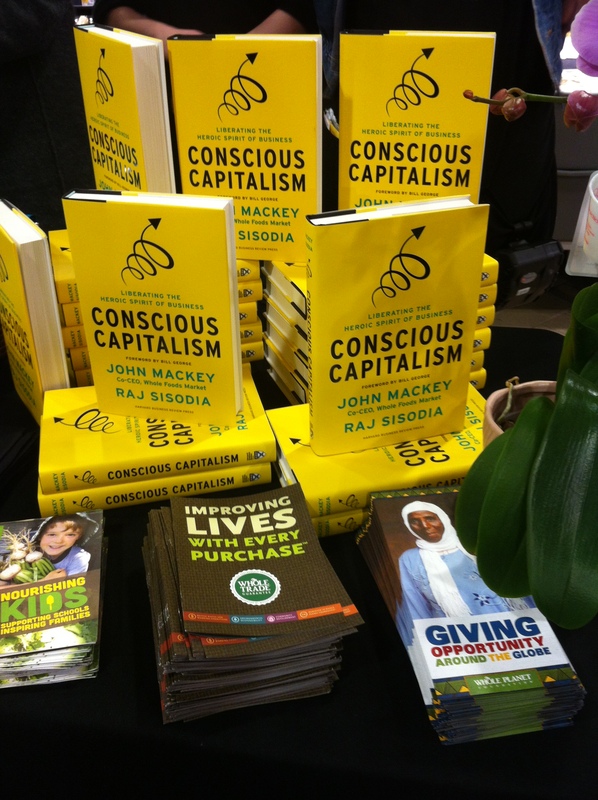 Mackey, surrounded by about 50 staff members and Philadelphia fans, was signing his new book Conscious Capitalism: Liberating the Heroic Spirit of Business. The book is not so much about food, like other books discussed on this blog, but the ethos, purpose and ethics behind the brand Whole Foods. Conscious Capitalism calls for a paradigm shift in business practice citing emphasis on philanthropy, a driving social purpose and people. I’m excited to read the book from a man who can get his own staff to line up and pay for books at their own job. If you had a chance to read it, let us know what you think!! This entry was posted on Wednesday, February 6th, 2013 at 2:28 pm	and tagged with Conscious Capitalism, food economics, Philadelphia, Whole Foods and posted in Food Books. You can follow any responses to this entry through the RSS 2.0 feed.